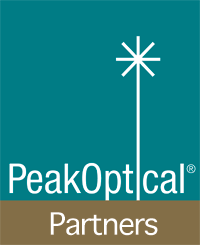 PeakOptical’s product portfolio includes high-quality optical transceivers, xWDM multiplex solutions, storage connectivity solutions, ethernet media converters and fiber optical cables. One of the central goals to our product offering is flexibility. We design our transceivers to work in the majority of network environments in order to give our clients the freedom to set up their networks in the way that works best for their companies. Our transceivers are fully compatible with the leading manufacturers, including Cisco, HP, Juniper, Zyxel, Ayaya, Brocade, Extreme, Alcatel, Allied-Telesis, Foundry, Huawei, Riverstone, Entrasys and others. Our storage connectivity solutions work across platforms as well, and are compatible with Brocade, Dell, EMC², Hitachi, IBM and Oracle. PeakOptical CWDM and DWDM solutions open countless opportunities to scale broadband environments where the number of fibers might create limitations. With today’s DWDM technology, it’s possible to achieve 400Gb/s over a single fiber, and with 40Gb/s and 100Gb/s transceiver technology, clients are able to get a significant amount of capacity out of their existing connections. All our products are quality assured and tested and manufactured in modern facilities in accordance with the procedures and methods certified by ISO 9001:2000 aswell as meeting the latest WEEE directives. PeakOptical’s transceivers are known for their extensive reach, stability and consistency, as well as the market’s best guarantee, the PeakOptical Limited Lifetime Warranty. PeakOptical transceivers are fully compatible with leading manufacturers of switches, routers and other networking hardware. The product line includes a complete selection of classic 100, 155 & 622Mb/s and 1, 2, 4 & 8Gb/s transceivers, as well as the more advanced 10, 40 & 100Gb/s transceivers and CWDM/DWDM solutions. PeakOptical transceivers can be delivered in all the past and current forms such as SFP, GBIC, SFP+, XFP, XENPAK, X2, 1×9, SFF and the latest QSFP+. Is your business ready for fibre optics?